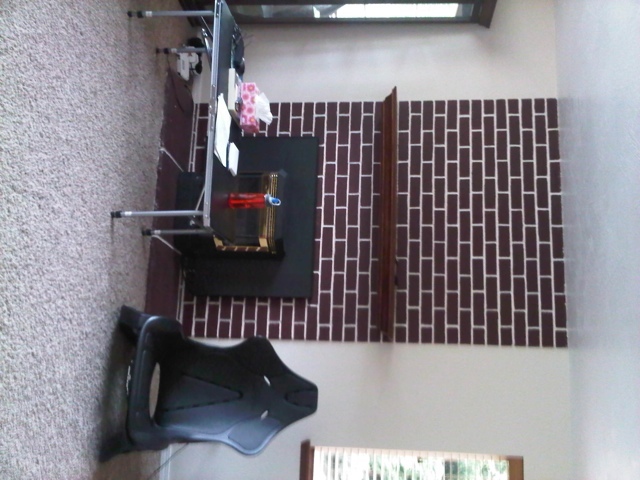 Here are a couple of pictures of a fire place a customers asked me to redesign for them so I’m asking for your input. Let me know if you have any ideas for this area. 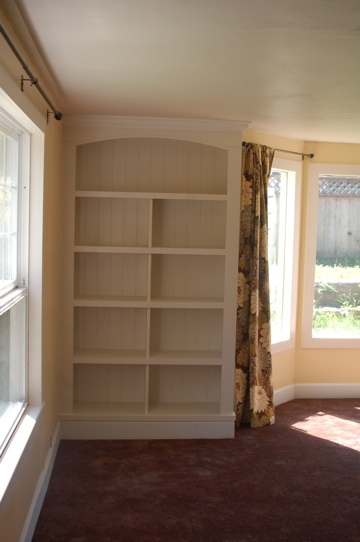 I want to let everyone know about a great resource for home remodel design ideas call houzz. 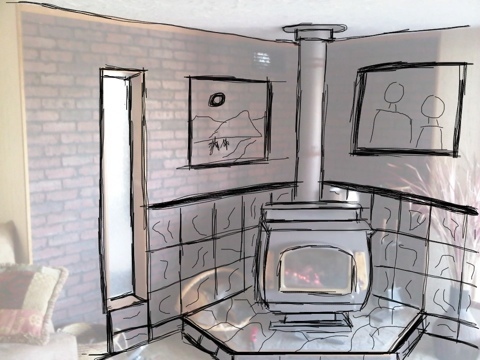 This is a website, which works along with an iPad app, to deliver awesome ideas for home remodeling at your finger tips. 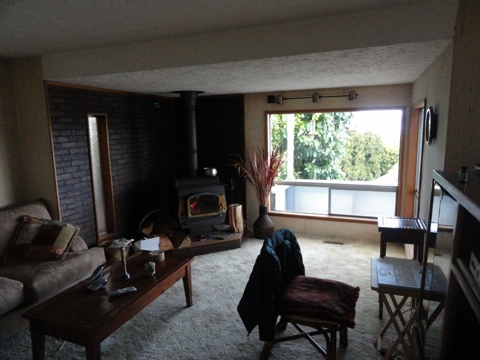 Go to houzz.com to see more. 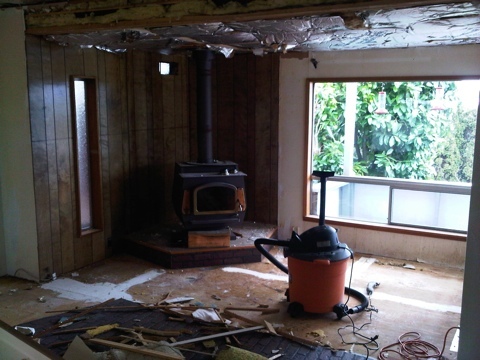 Here’s some updated pictures from the remodel project we are doing. 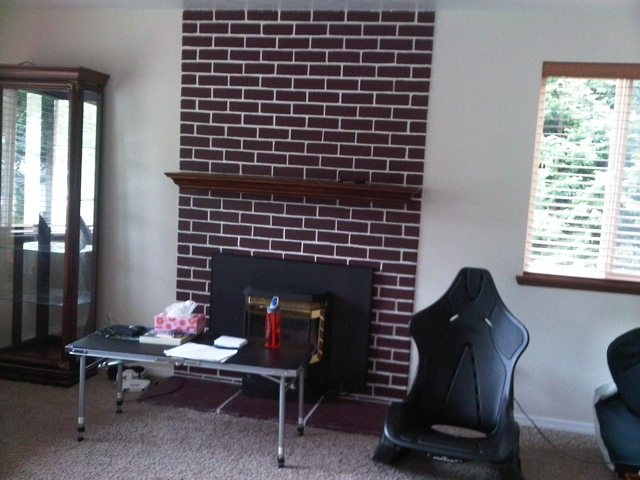 These pictures show the progress from drywall installation and finishing, through painting, a partial install of the floor and multi-color slate wainscoting behind the fireplace. 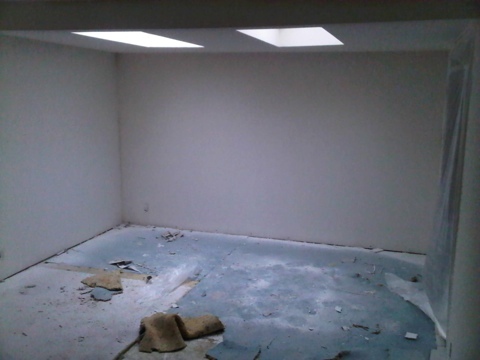 The color on the walls and ceiling is the same but the sheen in different, we put a flat sheen on the ceiling. Using the flat paint cuts down on the glare and make a much more uniform paint job. 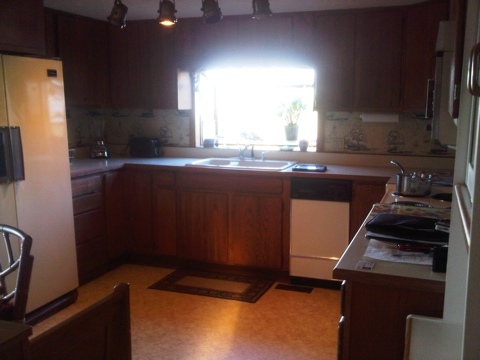 The eggshell on the walls is little nicer looking for this application, it is also easier to keep clean. 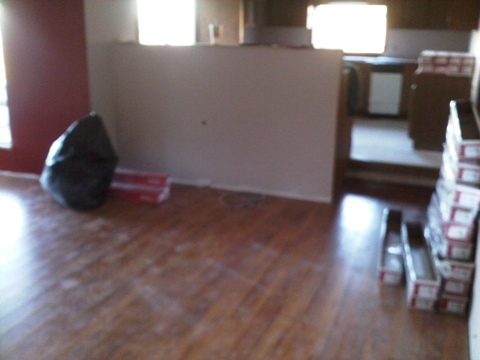 The flooring is a Pergo Laminate floor in a hickory finish. This is a wide plank floor meaning each piece of flooring contains what would be a single piece of finished wood flooring. 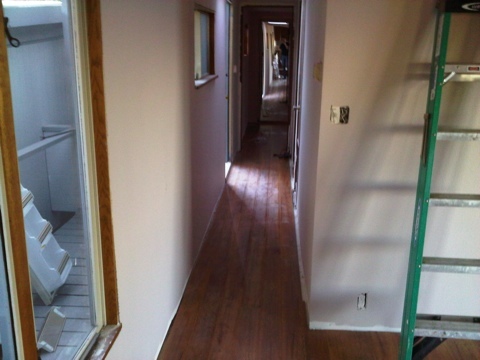 Each plank measures 5″ wide. Laminate floors can purchased in single double and triple planks depending on the style you want to have. 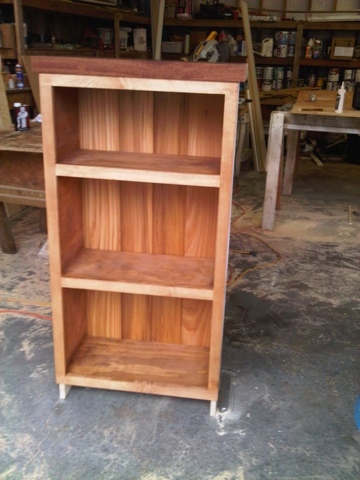 There is also a slight bevel around the perimeter of each piece which makes for a nice look. Let me know if you have any questions about products you see or the plus and minuses of different products. 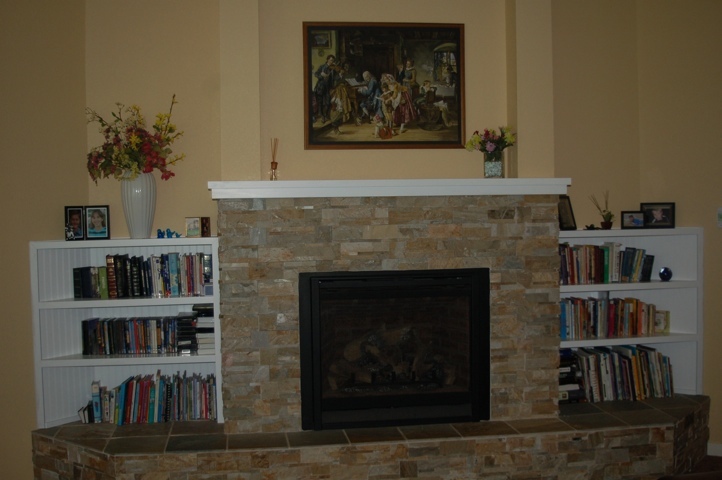 The customer chose the accent color around the fireplace to add a little variation to the whole room. I think he got the color selection just right as well as the amount of what was painted what color. 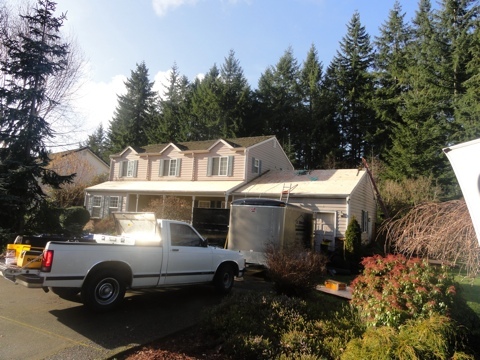 This reroof is the first phase of upgrades we are doing on this house. 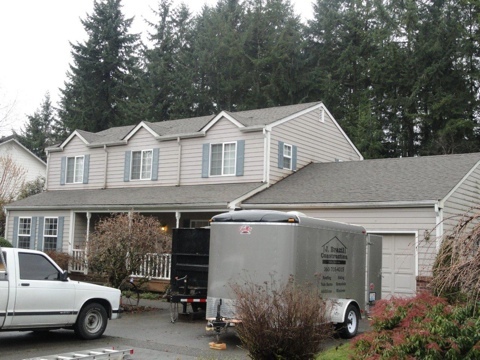 We removed the original shake roof that was on the house. 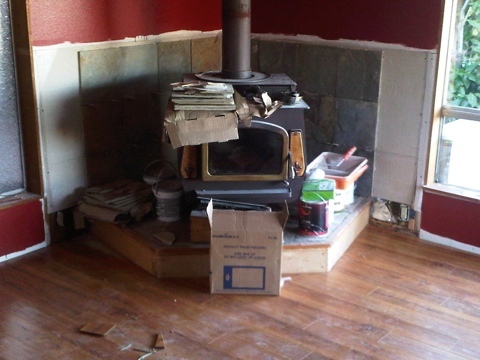 We then installed 1/2″ cdx plywood over the existing skip sheathing. The shingle we installed is a Pabco 30yr. laminated shingles. A laminated shingle is essentially two shingle laminated together, this creates a thicker longer lasting shingle. Today I started my newest project. 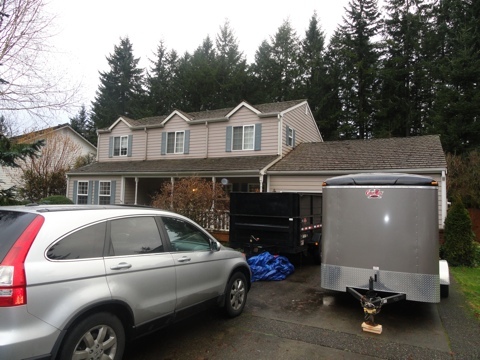 We are doing some remodel work on a home one of my longtime customers just purchased. Heres a quick rundown of what we are doing. 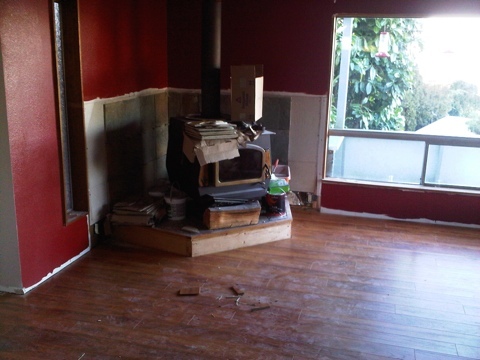 Refinishing the drywall, new paint, new floors, new countertops, and a little stone work around the fire place stove. 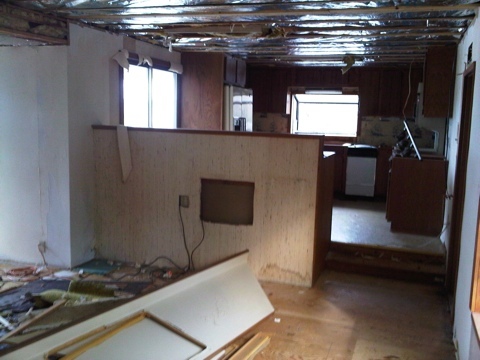 We started by pulling down the old ceiling, removing the countertops, and pulling up the floor. The plan is to get the sheet rockers in there on Wednesday and be ready to paint by the middle of next week. Here’s a couple photos.